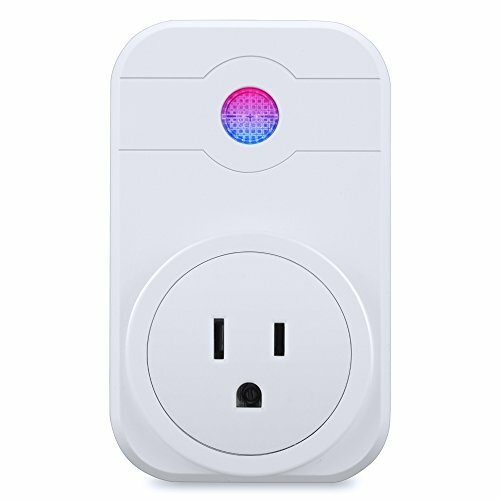 - Voice control, compatible with Alexa, easily control your home appliance with your voice. - Remote control, download eFamilyCloud APP on your smart phone,control appliances' on/off anywhere. - Overload protection, the socket will automatically power off when the voltage and current is over rated to avoid damaged and fire. - Thermal treatment design, ensures stable Wi-Fi signals and good communication status, never dropped. - Status LED indication and Real-time feedback, the appliances status will feedback to your phone in real time. - Energy saving&safe, reduce energy use, eliminate wasteful standby power, prevent overcharging and overheating, save on your electric bills and extend product life.